Henry Holt and Co. (BYR), 9781627796026, 32pp. In this heartwarming story about friendship and imagination, a boy named Wendell dreams of getting a pet walrus. Together, they’d ride bikes, tell jokes, and have a grand time. If only he could find one! But looking for a walrus turns out to be its own adventure, one with an unexpected and happy result. 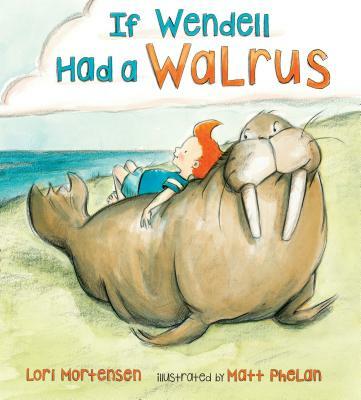 Acclaimed author Lori Mortensen and New York Times-bestselling illustrator Matt Phelan have created a sweet, playful, memorable book in If Wendell Had a Walrus that kids are sure to request again and again. Matt Phelan was born and raised in the Philadelphia area, studied film and theater in college, and held a variety of jobs. Since 2004 he's been drawing pictures for a living, for such books as What Are You Waiting For? and Spilling Ink: A Young Writer's Handbook.